The transportation industry does offer a complicated price structure when it involves moving commodities from one location to another. There is no standard price to move one pound of material from point A to B. Each carrier has a price to move a class of commodity to one specific point to another specific point. In the US, there are tens of thousands of points which can be either a shipping or receiving point. These points are used by carriers to determine the rate you will pay. Another major influence on the price of shipping items is the class of the commodity that you are shipping. Each item that is transported from one location to another is a commodity. There are thousands of commodities, and it would be impossible for a carrier to have pricing for each commodity that they ship. A classification system was introduced that simplified the pricing for carriers based on grouping together commodities of a similar nature, as it relates to their transportation. There are four primary classifications; the commodity's density, loadability, and handling characteristics, the value of the commodity, and the susceptibility to damage. Using the four classifications, commodities are then assigned to one of eighteen possible classes based on the classifications. The classes are identified from a low class of 50 to the highest class of 500. A rule of thumb is that the higher the class, the more expensive it is to ship. The classes are published annually as the National Motor Freight Classification (NMFC) by American Trucking Association (ATA) and the National Motor Freight Traffic Association (NMFTA). The lower classes of freight, i.e., class 50, is, in general, cheaper to ship than higher classes as it is probably easy to handle, relatively dense, and unlikely to damage. An example of a class 50 commodity, which is sometimes referred to as “clean freight”, would be iron, steel, bolts, screws etc., that can be contained on a standard size pallet, which is shrink-wrapped with no freight overhang, and weighing in the region of 1500 pounds or more per pallet. When a shipper wants to move a commodity from point A to B, they will need to identify the commodity to the shipper, using a detailed description. The shipper will not tell the carrier what the class is. It is because the class depends not only on the commodity but other factors such as whether it is a full truckload (TL), less than truckload (LTL) and whether more than the minimum weight is being shipped. Another factor that affects the class is the weight break. As the size or volume increases, different rates are applied. In most cases, a minimum charge applies, and rates are provided at 1,000, 2,000, 5,000, and 10,000 pounds. This means that if the price to move some commodity is based on a 2,000-pound shipment, and the next weight break is at 5,000 pounds, at some point, it will be cheaper to rate the shipment as if it were 5,000 pounds, rather than 2,000. The point where the shipment becomes cheaper to transport at the next rate level is called the breakpoint. When this point occurs, the next weight break is used, and the minimum weight for that break is applied. Exception: Some carriers will offer exception ratings when the characteristics of a commodity differ from the characteristics of the same commodity in a different region. This allows carriers to offer discounts to shippers which operate large volumes of shipments, or if there is increased competition. All Commodity: Carriers can introduce all-commodity rates for shipments between two specific points with a minimum weight. The carrier will offer an all-commodity rate for this specific route despite the class of the commodity carried. For example, if a carrier offered an all-commodity rate between New York and Baltimore with a minimum 5000-pound weight requirement, the class of the commodity would not matter to the carrier. Value : For shippers of higher priced, and therefore higher class commodities, carriers can offer a value rate. 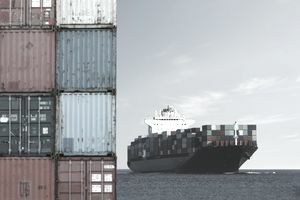 Because carriers are liable for the value of the commodity they carry, the rates are higher, but if a carrier has a fixed liability which is less than the commodity it is carrying, then the carrier can offer the shipper a value rate, which will be a lower percentage of the normal commodity rate. Deferred: It is another rate which helps shippers reduce the cost of transporting items. The deferred rate is cheaper than the normal rate for the class of commodity as the shipper allows the carrier to defer the delivery of the commodity to the buyer. The discounts can increase the longer the delivery is deferred. Incentive: Carriers can encourage shippers by offering an incentive or in-excess rates. The carrier’s incentive rates are usually where a carrier encourages a shipper to transport more goods with them based on weight. The carrier will offer a rate up to a minimum weight limit and a discounted rate for any commodity that is in excess of that minimum weight. How Does the CSA Impact Commercial Drivers and Carriers?